Pancakes: Shianne S. Maybe Your Soul is a Wifi Jammer: Vijay P.
Be Happy & Don’t be Snappy: Elaine S.
She was sitting to my right on the train. I hit her elbow and apologized. She said, “Don’t worry. Did you poke my eye? Did you take my mind? Did you take my memory?” I was stunned by her response. 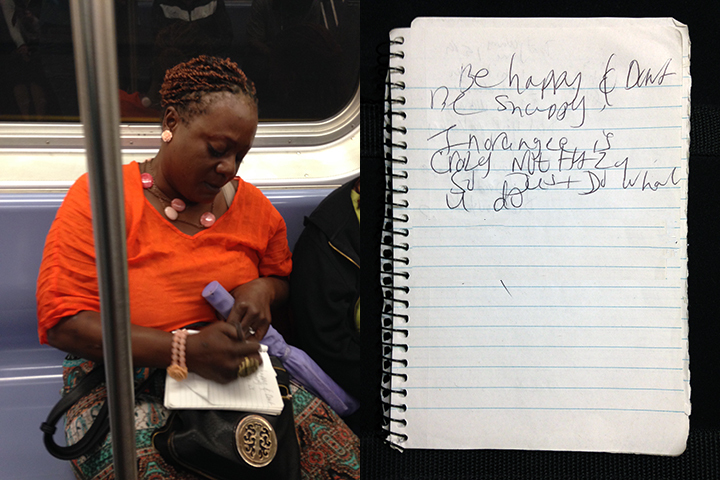 I asked her to write a poem, and thought about the circumstances in which somebody can take someone else’s mind. Read a poem by Shianne S.